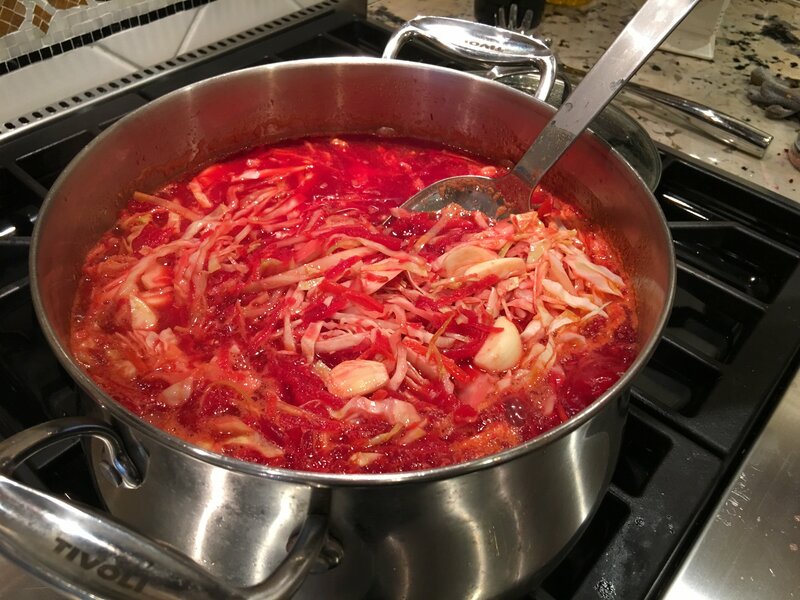 Going back to my roots with this traditional Eastern European root vegetable soup, Borscht. 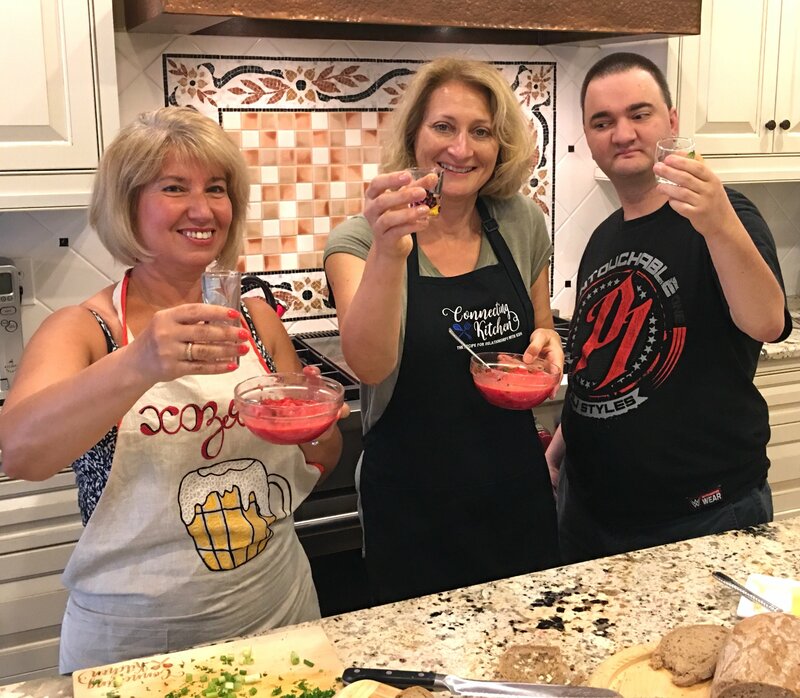 When my friend Tatyana and I realized that my grandparents are from her home town of Kiev, Ukraine, she suggested that we make this dish together. This soup reminds me of when I was a kid at my grandmother’s. 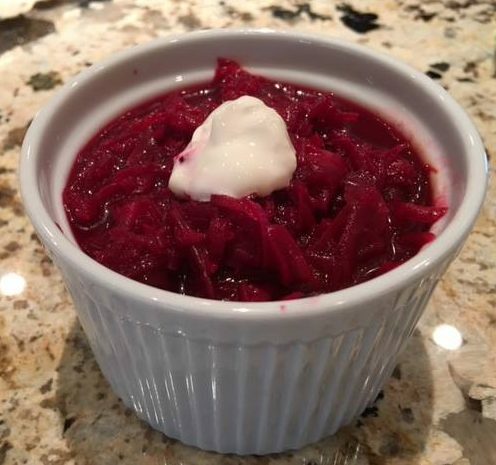 This beet soup is a staple at her home. I always love the way food is an international language that brings us together. If you’ve never had it, you need to try it! 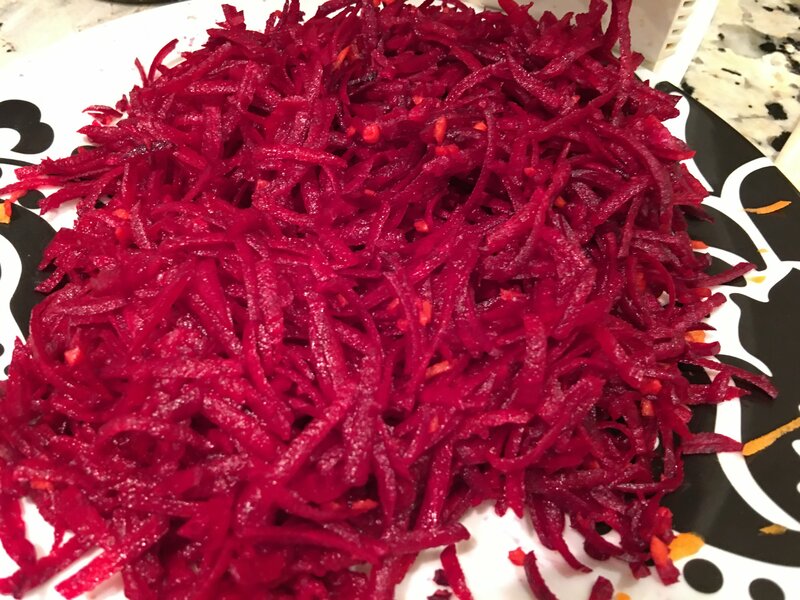 You can’t beat those beets for flavor, color, and all the vegetables for healthy goodness! 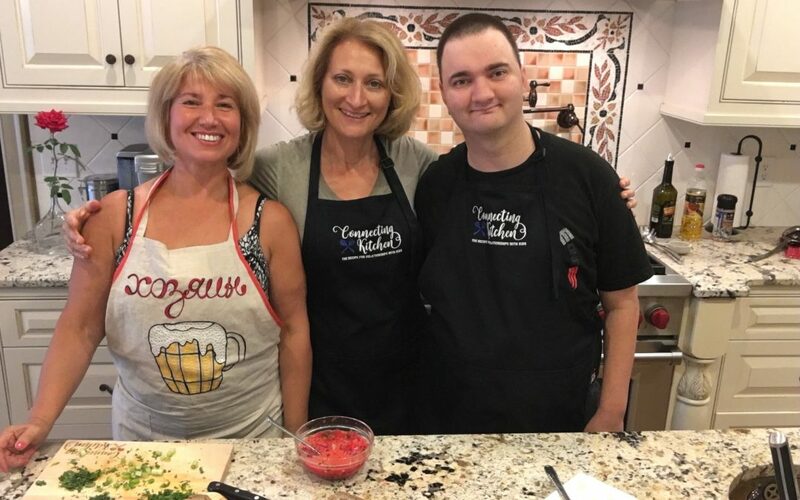 Thank you Tatyana Thulien for sharing your recipe and showing us how to make it! With your Russian accent, it felt that much more authentic! I’m glad you remembered the shot of vodka. Na Zdarovdje! 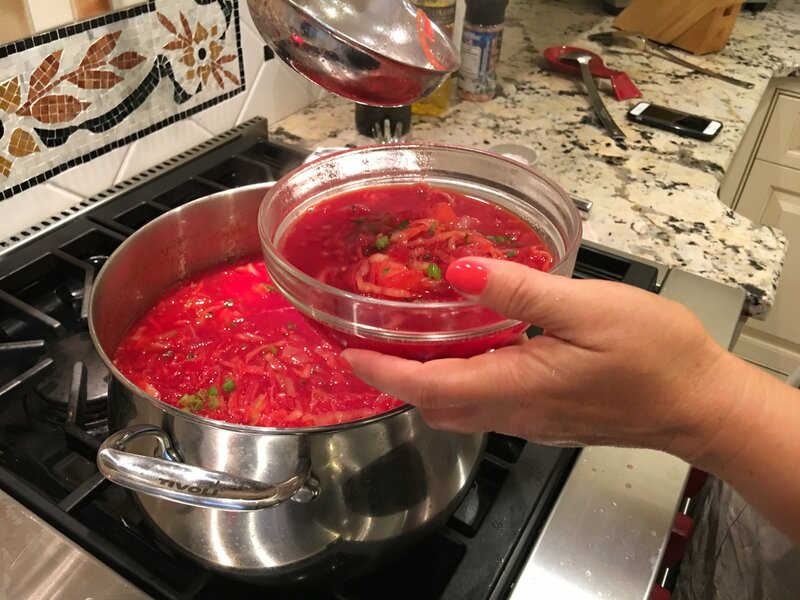 Tatyana showed us how to make her recipe. Below is mine. Heat oil in a soup pot over medium-high heat. Saute garlic for 1 min. Add shredded beets, cabbage, carrots, and onion. (A food processor with a shredder attachment makes shredding go fast.) Saute for 10 min. stirring often. 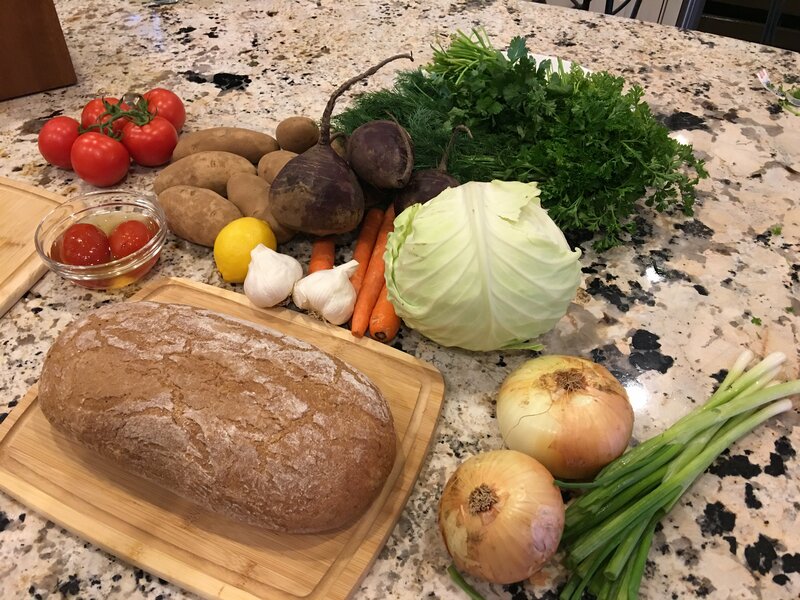 Add soup stock. Bring to a boil and simmer for 15 minutes partially covered. Add remaining ingredients and simmer for another 15 minutes. Ladle into bowls. Garnish with sour cream. Serve with bread and sautéed beet greens.